Barbra Streisand. Walter Matthau. Michael Crawford. Louis Armstrong. 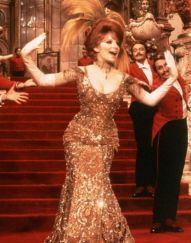 Streisand plays the widow turned matchmaker who takes on the challenge to find a match for an agricultural merchant and manipulates every situation to her own advantage. A star studded cast lines up in this lavish comedy musical.